1924-2005. Paolozzi was a Scottish artist and sculptor who studied at Edinburgh College of Art and then at the Slade School of Art, London. He travelled to Paris where he met artists such as Giacometti, Brancusi and Braque, and this time became a large influence on his later work. He was a founder of the Independant Group in 1952, which is seen as the precursor to the Pop Art movement. His work is generally surrealist in its style and uses a wide range of mediums. He has taught at several institutions in Germany, America and Britain. 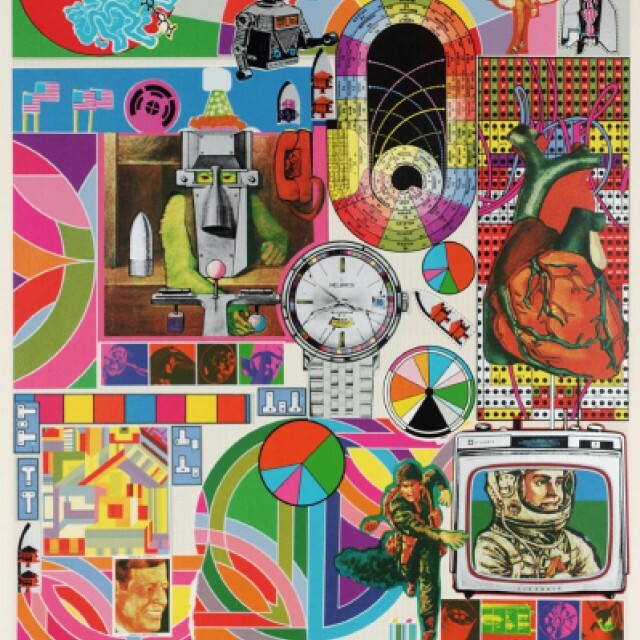 Paolozzi's work can be seen in numerous public collections.